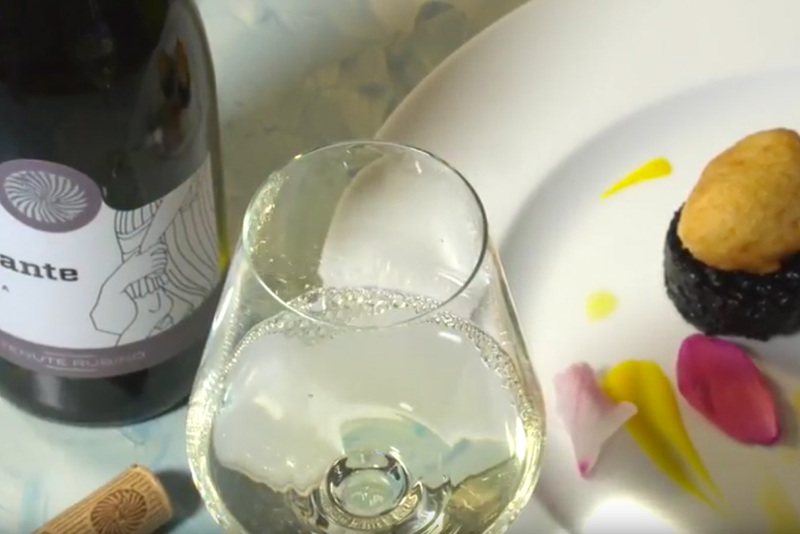 Pan loaf, pecorino cheese, fennel seeds and lemon peel, then cherry tomatoes, capers, anchovies, olives and, of course, a delicate and tender-fleshed white fish such as umbrine: these are the very simple ingredients combined in Opera Food’s sixth video recipe, a series of culinary tutorials dedicated to the traditional dishes of Puglia and the wines of Tenute Rubino. 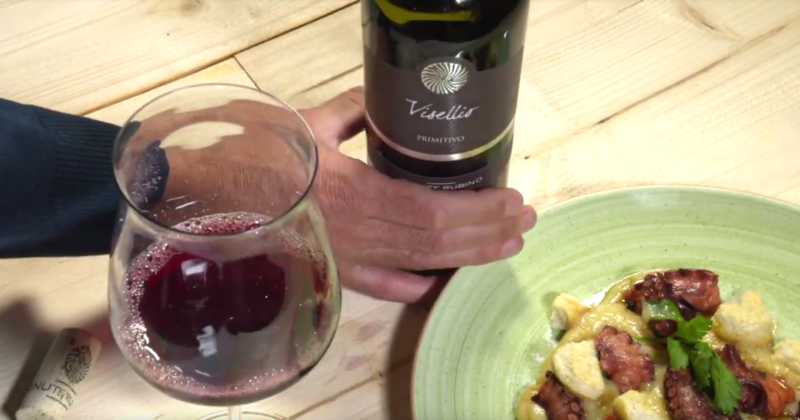 In this new instalment Tenute Rubino is back in one of our favourite eateries, Pescaria, in Polignano a mare (if you missed the first video recipe you can check it out here) to remind us of a peculiarly Apulian habit, pairing fish with red wine. 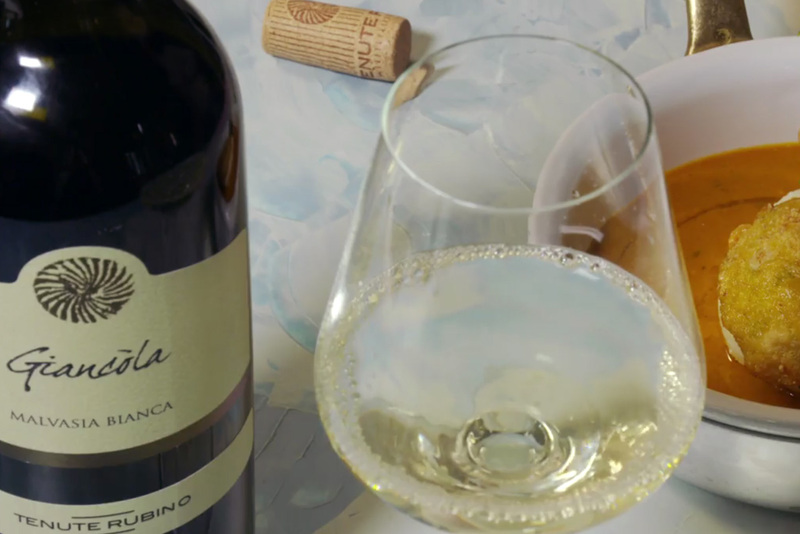 This rather unorthodox practice is gaining favour outside of the region, and once you try a succulent and slow-cooked fish dish with the right glass of red, we promise you’ll never go back. 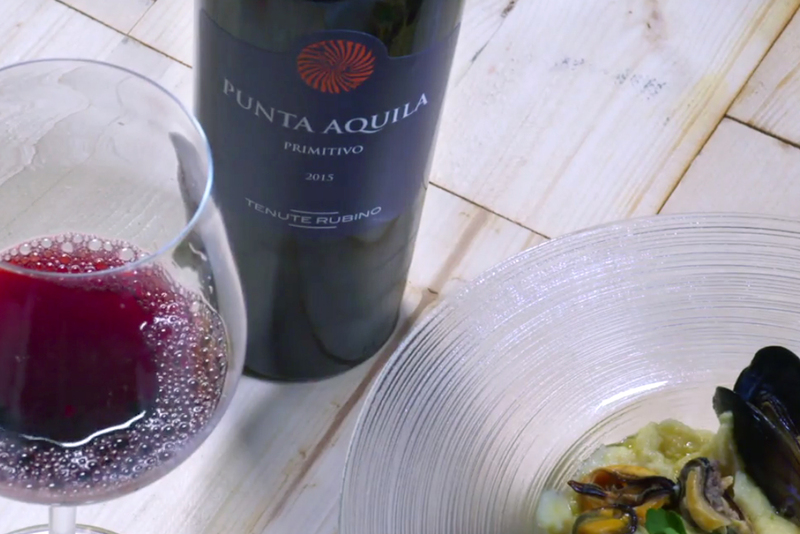 If you still need convincing, we suggest you try this new recipe created by chef Lucio Mele, who, together with Pescaria’s owners Bartolo L’Abbate and Domingo Iudice, calls himself a “fisherman in the kitchen”. 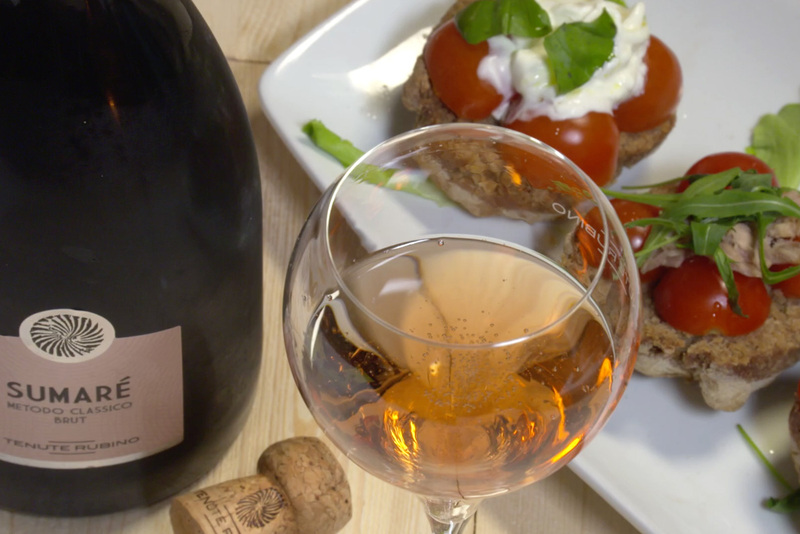 The epithet is well deserved: tasting any one of their dishes is to be transported with our eyes and taste buds to the enchanting fishermen’s village that is Polignano. 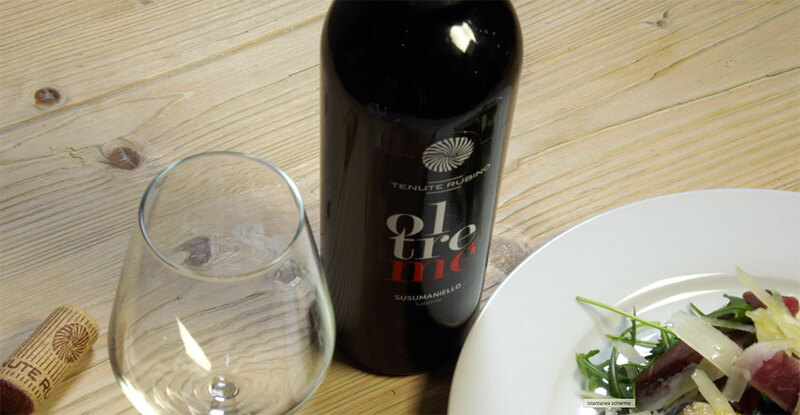 As a reward for our culinary efforts we will enjoy this delicious fish with a glass of Tenute Rubino’s Lamo, a spicy and floral red. 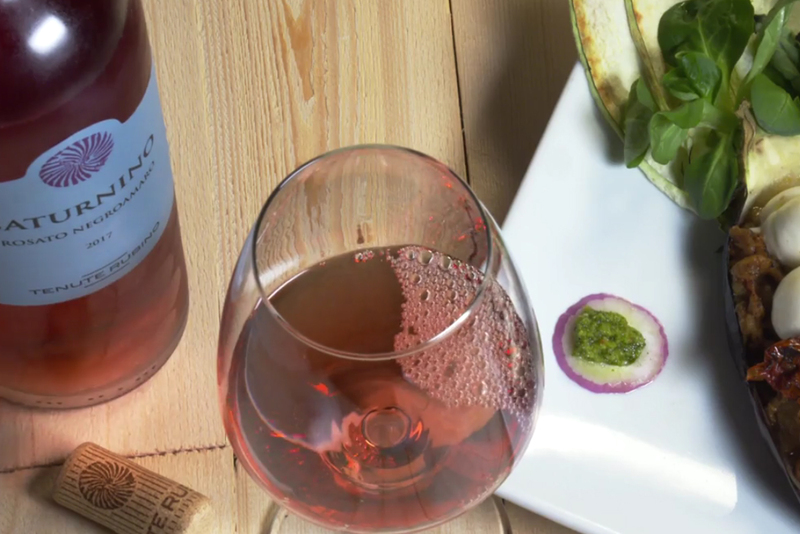 Delicate and yet assertive, it is the perfect wine to accompany these fish rolls filled with fragrant bread and cooked in a punchy puttanesca tomato sauce. 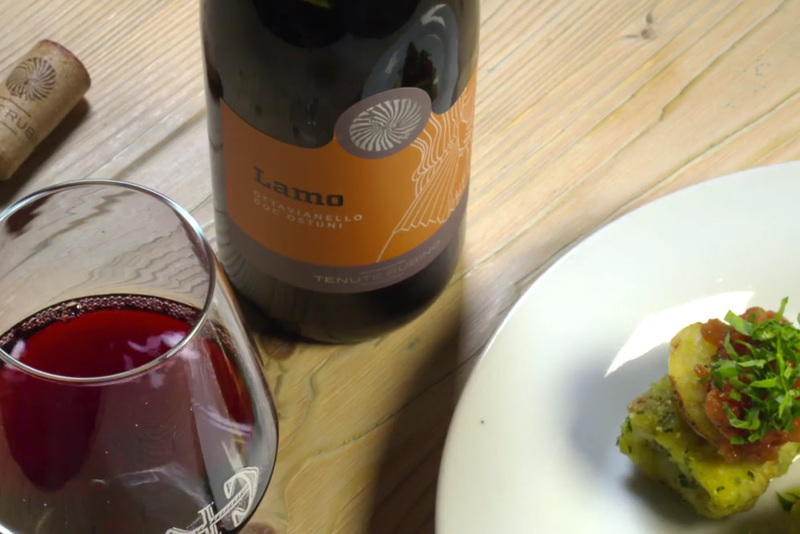 These tasty little morsels burst with exciting flavours and find their perfect balance when followed by a sip of red Lamo, a structured and compact wine obtained from an interesting native grape from the Apulian area of Ostuni. 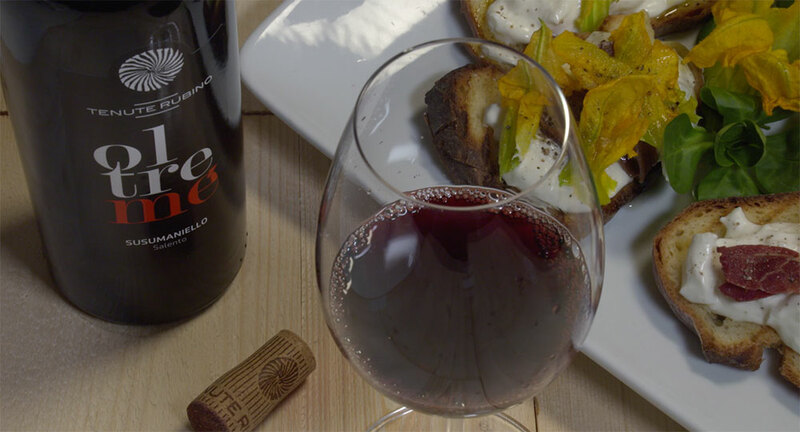 Tenute Rubino grows this variety in a single 0,6-hectare vineyard located in the heart of Ostuni countryside. 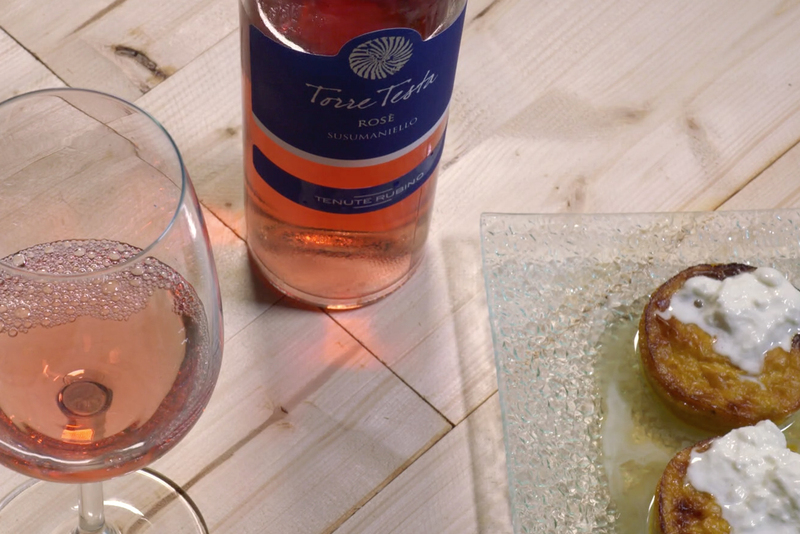 Simplicity rhymes with Torre Testa Rosé.